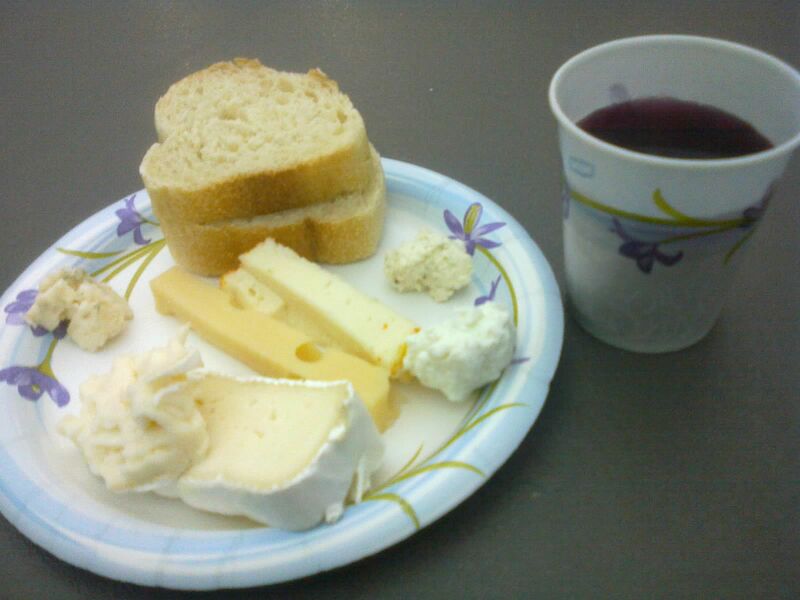 Tonight was our annual French Club soirée fromage. It felt a bit different this year than last year as a 101 student. I ran into mostly people who were in my 101 class, then a girl from 202, and a guy from 321. Then I got to talk to random strangers about Paris. Also, when the jugs of juice were empty, I was standing in line, watching nothing come out of the spouts. Then I said, « Il n y a plus de juice ! » It rhymed, therefore it was funny. It’s not as funny – it’s actually downright sad to say it in English: “There isn’t any more juice.” That really makes me want to cry. I didn’t realize how much I love grape juice until it was all gone. Saturday at a potluck, I met a guy (he was with his girlfriend) from Orleans. It was his first time in the United States. He was very soft-spoken, and his french was very smooth-sounding. We talked for a little bit. Being the way I am, I asked questions so that he would do most of the talking. He is not LDS, but he attended a session of General Conference in Salt Lake City. “Vous avez écouté les discours en français?” Of course he did. And he was very impressed with the interpreters. He prefers English to “American,” and I don’t blame him.